Rumoured no more! The Fox Television Group has confirmed in an official announcement on their website that The X-Files will return as a “six episode event series” with Chris Carter at the helm and David Duchovny and Gillian Anderson reprising their roles as Agents Fox Mulder and Dana Scully. Conspiracy theorists rejoice! Or speculate in a dim-lit a basement, whatever suits you. Just make sure you’re wearing bottle-cap glasses and using dial-up internet, this is 90s nostalgia at its finest. 1. The Smoking Man becomes a poster boy for the national Quit campaign and helps Mulder and Scully dismantle a huge alien cover-up in the Tobacco industry. It could happen! Imagine this: an alien species uses nicotine to sedate and control the human race whilst simultaneously feeding us harmful, yet addictive toxins, thus manipulating the species into slowly annihilating itself without the need for coercion. Ok, so maybe this could be re-framed as “Mulder and Scully versus the Tobacco Industry”, but wouldn’t it be awesome to see Spooky, Sassy and Smokey join forces? Just think the Buffy musical episode, but with more pouting and 90s power suits. Featuring such hits as: “Hotel Paranoia”; “Conspiring in The Rain”; and, “Weird Vibrations”. Special appearance by David Bowie performing “Hallo Spaceboy” and the entire Ziggy Stardust album. Mulder, Scully and Cooper in the same room. The plot’s so thick you could blend it with some ice and sell it as a shake at the Double R Diner. The only way this could get any more twisted is if the three took an international flight together and crash-landed on a deserted island along with a doctor, a convict and a crazy guy in a wheelchair. And knowing David Lynch, a goblin hiding behind a dumpster. But seriously, I don’t even know if I could handle this: the Agents of smoulder and Doctor Dana “sass” Scully. What’s more, there are enough inexplicable mysteries and well-kept secrets in both universes to keep this story going forever. Why hasn’t this happened yet? There’s a reason I hadn’t yet mentioned Duchovny’s infamous appearance as a transgender detective with the FBI in Twin Peaks. It’s a sight to behold. Somehow, the dress intensifies his brooding charisma and paranoid sensibilities. Also, he looks damn fine. Scully already wears some killer suits (although I wouldn’t mind seeing her in a more contemporary version), so why not let Mulder “dress up” too? 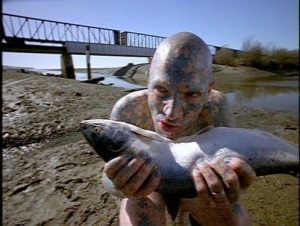 The X-Files, along with a few other seminal 90s texts, such as Buffy the Vampire Slayer, was one of the first television series to use the “monster of the week” format for an ongoing story. This format involved a long-form story arc interspersed with short-form weekly episodes featuring a new enemy or mystery to be solved. Think Scooby-Doo meets Lost. 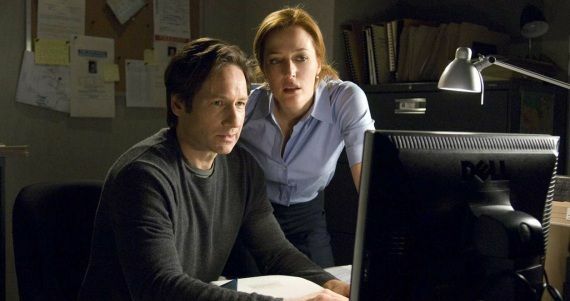 Although The X-Files is well-known for this format, the reason I included it in this list is that it’s unlikely to be used given the six-episode format slated for the reboot. I won’t be surprised, and don’t get me wrong – I’m still excited – but to be honest, it’s saddening to know that the new series probably won’t feature many sewer mutants, circus freaks, or cannibal hill-billies. This was one of my favourite things about The X-Files. For now, let me leave you with this. Every time I see it I feel a tingle of excitement ripple up my spine that inevitably culminates in a girly squee. This reboot can’t come soon enough. 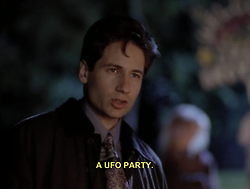 What do you want to see from the X-Files reboot?